← How Much Money Is Enough? OK, I admit it. I am a tech hound. I love what technology has made possible for carbon-based life forms. Within the last six months, I have made contact with friends I had not seen in over thirty years. I have enriched my ability to teach by increasing communication with my students. I have seen tasks that formerly would have taken hours reduced to seconds. All of this courtesy of technology. Those of you who read my other blog regularly know that I talk a lot about our upcoming economic conflagration. Economic upheaval is distressing. But, like a forest fire, what appears to be a catastrophe is from another perspective a cleansing. Old growth is incinerated in favor of tender and fragile new shoots of life. Animals whose homes were burned to a crisp often return to find a bounty of new food and water sources. What does this have to do with social networking? Social networking is the new growth straining to get out from under the dead cover of the old economy. If (in my opinion, it is when) the forest fire comes, will you be one of the mammals that learns to thrive or one of the dinosaurs lying on its side, breathing its last gasps? Here are some things to think about. No matter what your line of work, whether you have a job or your own business, or whether you hug or curse your computer daily, think about how your network of friends and acquaintances works. In other words, what makes your social network tick? In my case, I was astonished that it was so easy to get, and stay, in touch with friends from long ago. I learned things about them that had escaped me until now. My life is richer because of it. Moreover, they have introduced me to numerous other great people. If you want to be prepared for the future, think about how all the things you do on Facebook and Twitter can serve as the foundation for generating more income. Now, hold on. Before you go spamming all your friends, think about why these networks work the way they do. Why was it so easy to get in touch with so many people? Why do people log on to Facebook regularly? 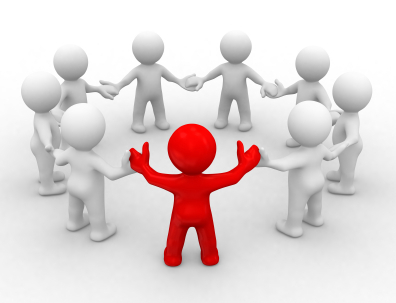 How many people are in your network? If you worked at it, how many could be in it? Next week, I will talk about your network “destination” and how to increase its value to others. Until then, don’t get burnt! Terry is not a dinosaur, but his mother-in-law might be. He thinks you ought to check out the Entrescape community.